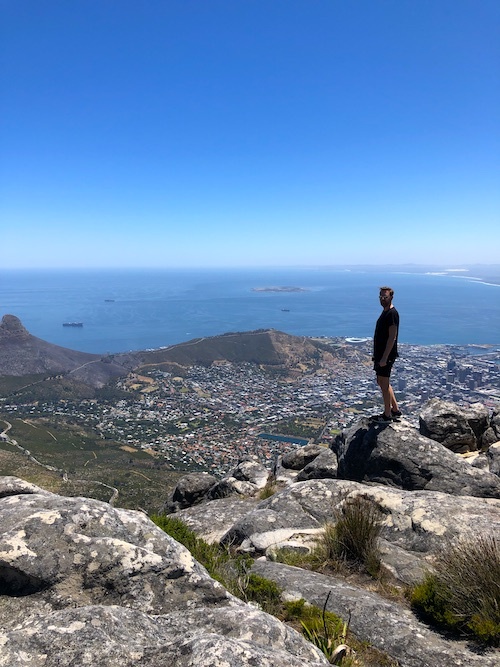 Table Mountain magically rises above the rooftops of the city, offering fabulous views of Table Bay, Robben Island, Camps Bay and the vineyards. Table Mountain offers multiple hiking trails. I recommend the one that starts at the top of the cable car and leads you to Maclear’s Beacon and back. 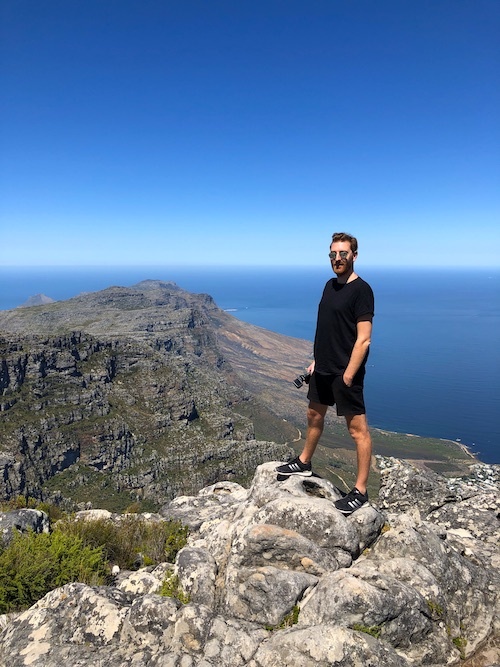 If you are extremely fit, you can climb Table Mountain from Cape Town in about two to three hours. The cable car is open every day, but can be closed at short notice due to strong winds. It’s best to check the current status on https://www.tablemountain.net/ first thing in the morning. 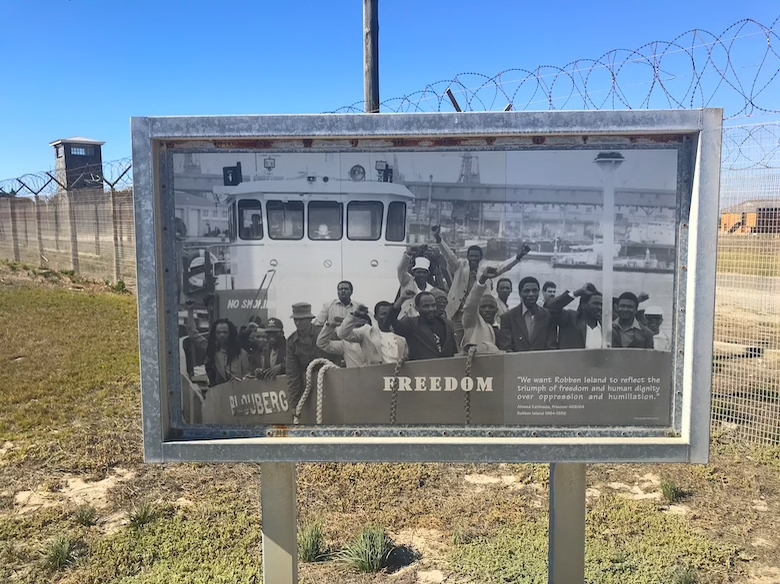 Until 1996, Robben Island was known as a prison island. The most prominent detainee was Nelson Mandela, who was imprisoned there for 18 years. Today, you can visit the detention center as part of a tour with former prisoners acting as guides. It took us around 30 minutes by ferry to get on the island. We started by visiting the former prison and Mandela’s cell and were later driven by bus to other interesting places on the island. All in all, the tour was definitely worth it and our guide told us many interesting facts about this horrifying prison, which was recognised as a UNESCO World Heritage Site in 1999. Colourful, that’s how you best describe Bo-Kapp, a district of Cape Town. It is one of the oldest and most original neighbourhoods in the city. 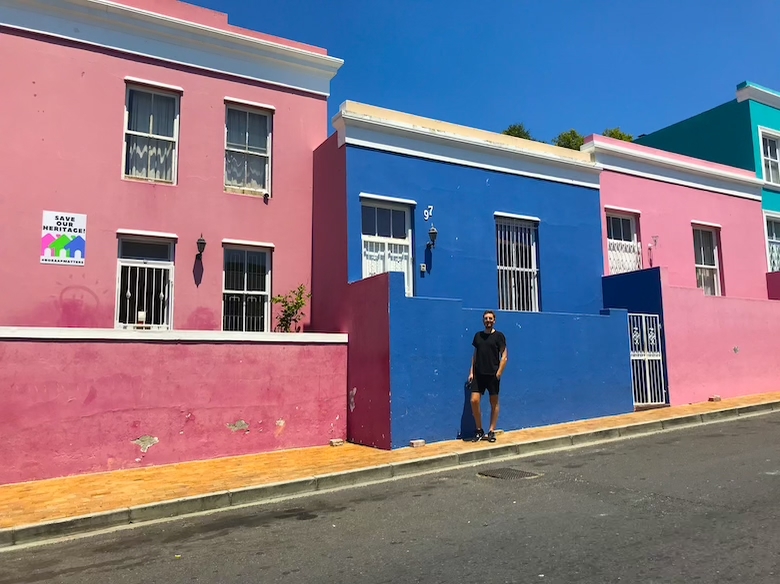 The neighbourhood was founded in the 18th century by freed slaves who built small houses, mixing English and Cape Dutch styles. It’s still remains a subject of discussion, why the housed are painted in all the different colours. The most plausible theory is that the slaves were formerly allowed to wear only grey and brown and after their liberation colourfully the painted houses became as a sign of their regained freedom. Just south of Cape Town, is the popular Cape of Good Hope. It marks the southwesternmost point of Africa and offers some great hiking trails along the coast. Don’t forget to take a picture in front of the famous wooden panel with the coordinates. Clifton Beach is Cape Town’s most beautiful beach. It is also very easy to reach from the city center. You can go for a swim if you are adventurous enough, because the water icy cold. The beach has impressive rock formations just below the villas on the hills. The Victoria & Alfred Waterfront opened at the beginning of the 90’s and offers countless shops, hotels, restaurants and bars. 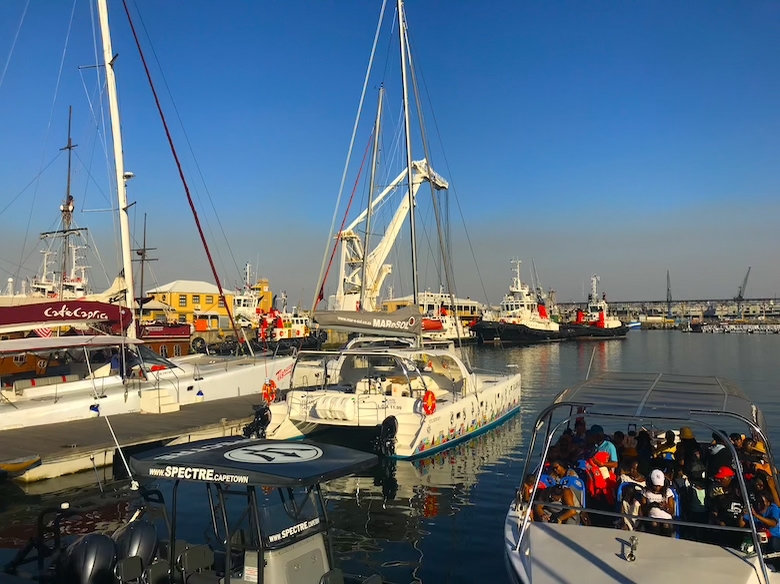 It is now one of the most popular places in Cape Town. Especially in the evening it is the perfect place to go for a drink in the evening. 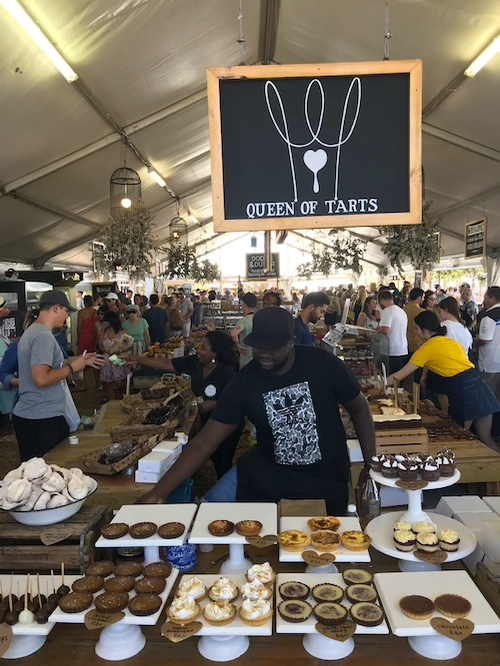 Very close to the V & A Waterfront, is the trendy Oranje Zicht Farm Market, which is only open on weekends. 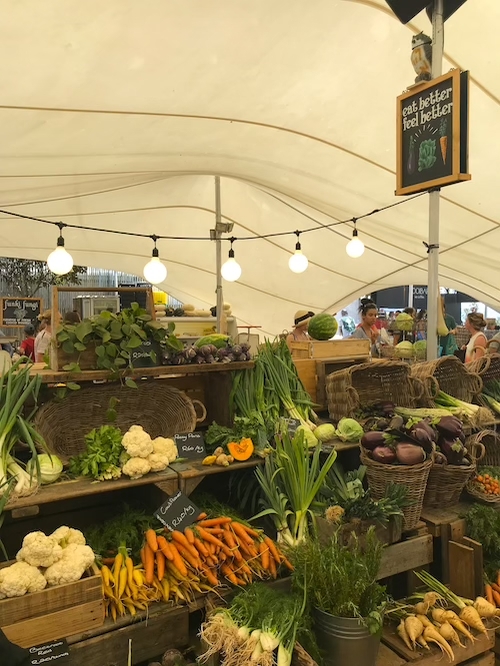 At the market, you will find pretty cool food stalls and designer shops. Sit down and relax for a few hours over a fresh smoothie or a snack. If you have your own car, you should go for a drive along the Chapman’s Peak Drive. 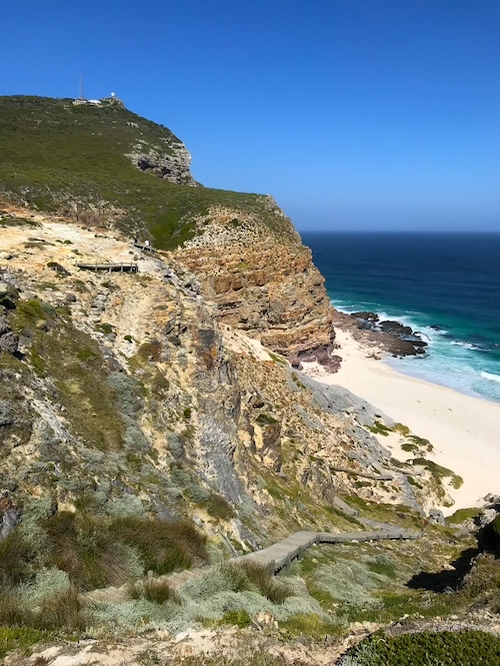 This nine-kilometre coastal road connects Hout Bay with Noordhoek. On the way, you can enjoy a great view of the coast and the spectacular rock formations thanks to the viewing platforms. 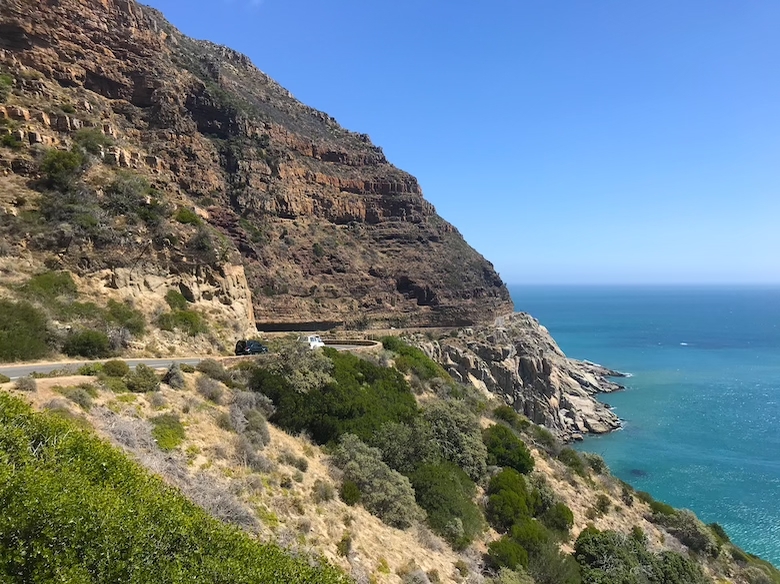 That’s also the reason why the Chapman’s Peak Drive is considered one of the most beautiful coastal roads in the world. 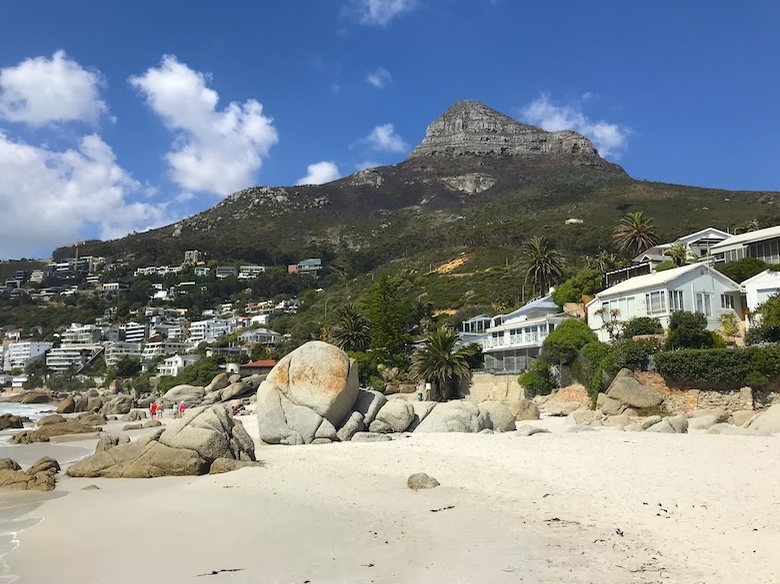 Right next to Clifton Beach, there’s the wonderful Camps Bay with a beautiful long sandy beach and a natural rock pool. 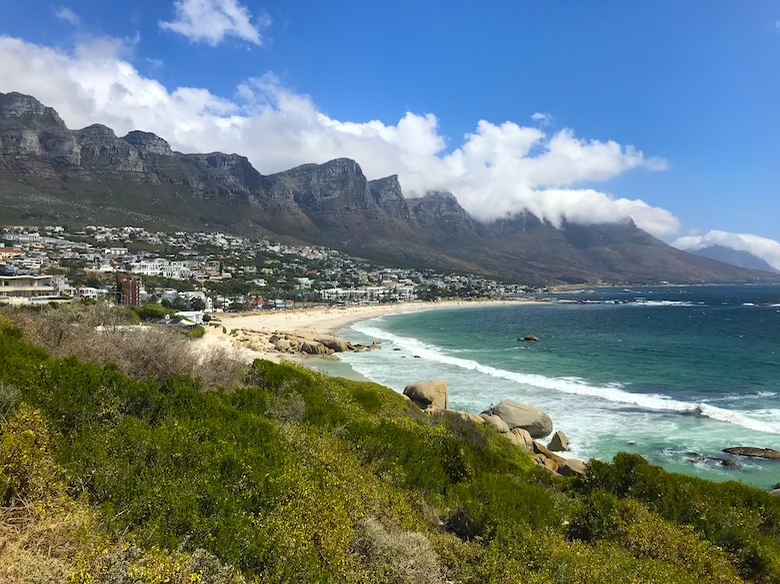 From the beach, you can enjoy a great view of Table Mountain and the mountain range called Twelve Apostles. That’s a perfect place to relax for half a day and pay a visit to one of the restaurants and bars the place has to offer. If you like watching penguins, I highly recommend Boulders Beach. The tiny little fellas are a joy to watch, frolicking around the beautiful sandy beach. 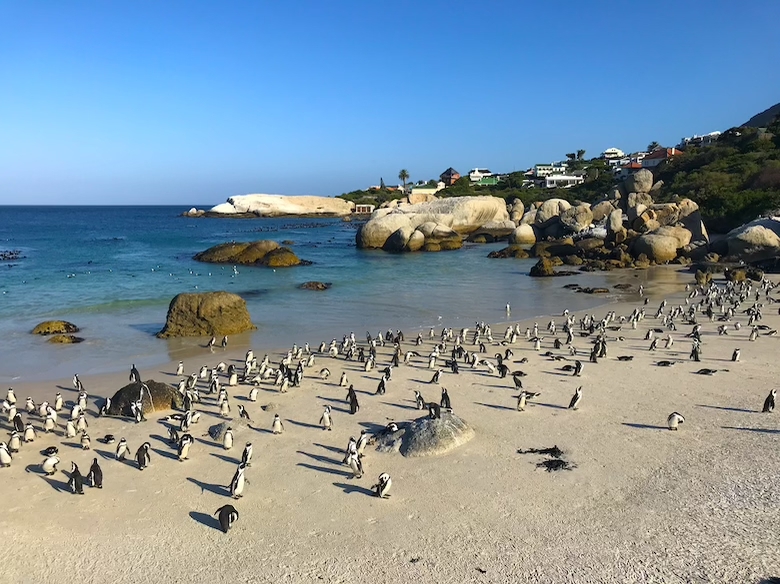 To avoid the crowds of tourists, it’s best to visit Boulders Beach at sunset. 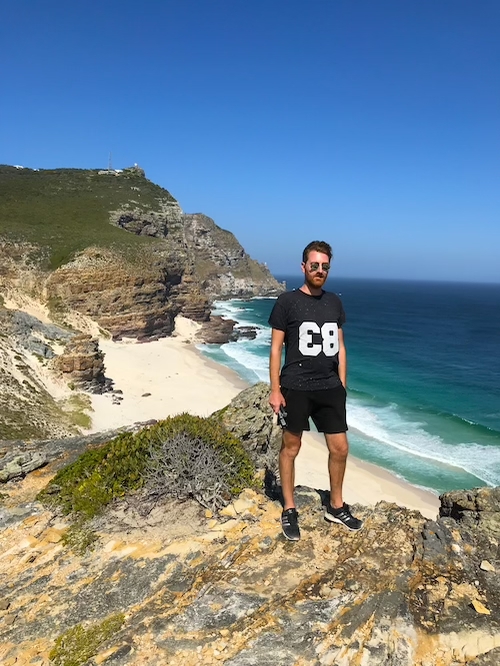 The beach is located between Cape Town and the Cape of Good Hope, so you can easily come here after visiting the the Cape of Good Hope.